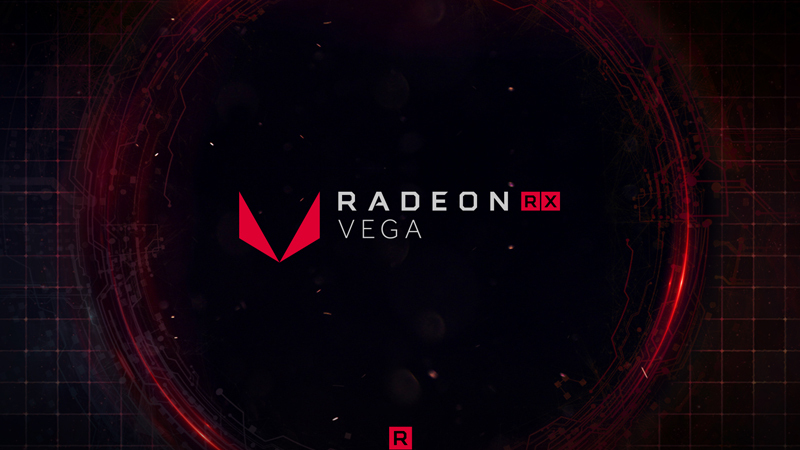 The Radeon RX Vega 64 is AMD's newest flagship gaming graphics card, which is designed with extremer gamers in mind. It is built with an extensively redesigned and forward-thinking GPU architecture to deliver exhilarating performance in the newest DirectX 12 and Vulkan games. 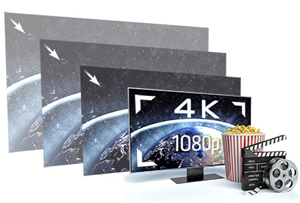 Crank up your graphics quality and bring out every detail at incredible resolutions, power the latest displays and play in lifelike HDR. Step up to next generation of immersive gaming and lose yourself in the greatest high-end gaming and virtual reality experiences. Plus, you can also tream your gameplay for the world, and record your highlights all at the same time with virtually no performance loss. 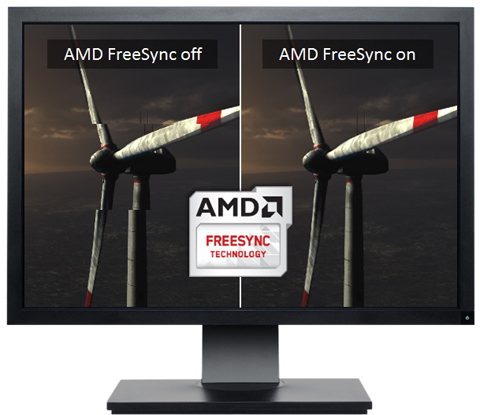 FreeSync uses industry-standard displayPort Adaptive-Sync, eliminating screen tearing without all the usual lag and latency. Go beyond the boundaries of traditional PC displays. 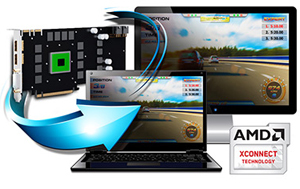 AMD Eyefinity technology expands the traditional limits of desktop computing by multiplying your screen area. With multiple monitors, games become more immersive, workstations become more useful and you become more productive (an average of 42% more productive according to one study). Take your PC games to the next level of reality and immersion. Most modern games look great on three screens, and only AMD Radeon graphics offer you the ability to play across five screens for an eye-popping gaming experience. Other combinations and configurations with up to six screens work too.1 Create your dream display. Cons: @AMD the stability nose-dived when we all switched from the radeon kernel module to amdgpu. Stability is important, pay attention to it. bought it at msrp with the free game and still going strong. Other Thoughts: great if the retailers bring the price to msrp and great competition despite what people who have never actually owned one says. quick garbage benchmarking doesnt do it justice which is why I waited a while to write a review. most reviewers dont know what they are doing with this beast. Pros: Quiet, stays cool. 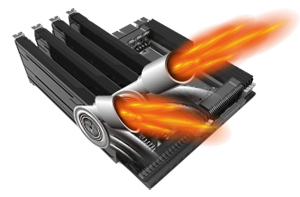 If someone says "This card runs hot" it's because their case has garbage airflow. Powers through 1080p, 1440p 60fps+ and high 30's & 40's FPS for 4K. Cons: I have yet to find a con. Don't let people tell you it runs hot, it doesn't IF YOU HAVE GOOD AIRFLOW. Pros: Fast fast fast. Worth ever penny. Cons: Doesn't make me breakfast and slap me on the buttocks on the way out the door for work. Other Thoughts: I have this installed in my custom water cooling loop with an EK waterblock. It never gets over 32c... ever. My room does get a bit warm though. But that is expected with a water cooling loop (efficiency always comes at a cost). If you can get one of these at or near retail price then do it. It's a great performer regardless of what the big reviewers say. If you can keep it cool its even better. I've never had an issue with it and it plays all my games at full settings quite easily. Pros: It worked for 5 months. Cons: It worked for 5 months. Games often didn't perform as well as they would have on Nvidia cards that cost less. Other Thoughts: This was the second Sapphire RX Vega 64 card I tried, because the first one failed to function right out of the box. This second one has failed after only 5 months. 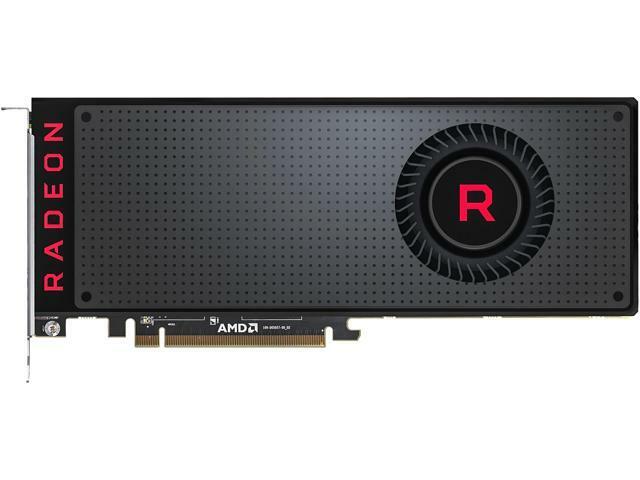 I can't speak for Vega 64 cards in general, but I'd avoid this one like the plague. Pros: couldn't be more happy with this product. Other Thoughts: I recommend this card to just about anyone I talk to. Pros: -Significantly more powerful than my RX 480! I can actually run games at higher resolutions than 1920x1080! -The reference design cooler does a great job of keeping the heat out of my case, which is why I bought this one.. I mine when I'm not gaming, so getting the hot air out of the case is important! -AMD actually fixed the terrible VCE HEVC (H265) video encoding that Polaris had! AMD Relive recordings look so much better with HEVC now. -It can run RiME at good framerates! That game is horribly optimized, so it takes a beast like a Vega 64 or a GTX 1080 to barely run well at 1080P. Cons: -AVC (H264) encoding quality with VCE is still horrible. It makes my AMD Relive recordings look like a bad Youtube video. It's a good thing the HEVC quality is much better. -It runs a little hot and loud, but what do you expect from a reference cooler? -It does fall short of the GTX 1080 sometimes, but this is common knowledge. Other Thoughts: -I recommend reference design Vega 64s like this one if you mine at all (and maybe do some gaming on the side like me). -If you only game, buy a non-reference Vega 64.